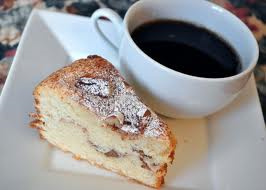 Hi Jenny, thank you for having me as a guest blogger! 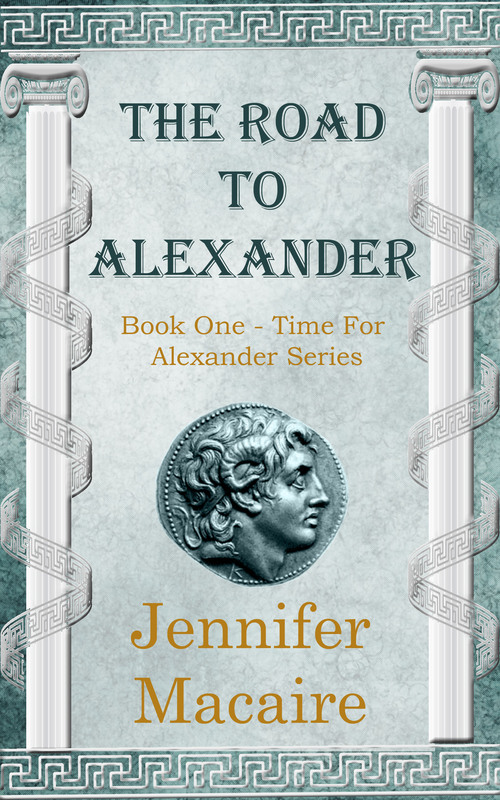 I’m here to talk about my upcoming book “The Road to Alexander”, the first in a series about a time traveller who is sent back to interview Alexander the Great. He mistakes her for Persephone, goddess of the dead, and kidnaps her, stranding her in his time. It started out as a short story – I had been writing and selling short stories to magazines, and I just had an idea of a sort of alternate history short story where Alexander the Great is never bitten by the mosquito that caused his fatal malaria. I wrote it from the viewpoint of a woman time-traveler/journalist, but when I came to the part where she slaps the mosquito away…I just kept going. In fact, I kept going for seven novels which became the Time for Alexander series. In the first book, The Road to Alexander, I even left the part about the mosquito in and you can catch it if you’re paying attention, although it’s no longer part of the plot! I ended up shifting everything around, because he dies in Babylon and I needed to introduce the time-traveling character at the beginning of his great adventure. I used Alexander the Great as the hero, but I took a lot of liberties. In fact, I used my husband’s character to flesh out the great hero (please don’t tell my husband, he’s quite conceited enough as it is!) I had a lot of fun imagining how my husband would react to such-and-such situation, and I have to admit he did really well. It helps that he’s a high goal polo player, so a fantastic rider. He also loves to travel, is charismatic, and speaks several languages fluently. But I also tried to stay true to history’s Alexander, and so (unlike my husband) he has terrible flashes of temper, is bi-sexual, and is polygamous. I researched extensively. I used several books on Alexander the Great, including “In the Footsteps of Alexander the Great”, but Michael Woods, which was produced by the BBC. It was extremely helpful, because the author literally took the path Alexander’s army took across Persia and Bactria, and so was indispensable for calculating how long it took to get from one place to another. More research was done on the army, how it moved, who was in it, and how Alexander fought his battles. Still more was for daily rituals, things like food, medicine, clothes, money, toothpaste, and religious ceremonies. I researched constantly – every time I had a question I’d either write to an expert or hit the library and search out books. I’m not big on Internet research, too hard to verify facts, but I did use the Internet to put myself in touch with authors and historians. Everyone was very helpful, and I learned a great deal about ancient Greece and Rome! I am a plotter and use outlines. I’ve written a couple books just “going with the flow”, but they took forever to finish because I kept getting distracted. I much prefer a chapter by chapter outline. My husband, of course, and then it would be fun to be stranded with the Swiss family Robinson couple – because, did you ever see their tree-house in Disneyland? It’s amazing. If I had to be stranded on an island, it would have to be with someone who could build a really luxurious shelter, find food, and be easy to get along with. My husband is fun to be with, but he can’t build a lean-to – he’s hopeless with a hammer and nails! Bio: Jennifer Macaire lives in France with her husband, three children, & various dogs & horses. She loves cooking, eating French chocolate, growing herbs and flowering plants on her balcony, and playing golf. She grew up in upstate New York, Samoa, and the Virgin Islands. She graduated from St. Peter and Paul high school in St. Thomas and moved to NYC where she modelled for five years for Elite. She went to France and met her husband at the polo club. All that is true. But she mostly likes to make up stories. You can see her books at her author site, and read her blog here. Alexander tilted his head. “There’s something so strange about you,” he said, and he sounded almost sad. I looked at him and wished that I could tell him everything. But I knew that if I changed the course of history, the people at the Time-Travel Institute would activate their infernal machine and erase me from time, as easily as Alexander was taking out the small villages on his map with the poke of a stick. I would cease to be. I didn’t want that to happen. Marrying Alexander might change a few things, but nothing radical. Alexander had had numerous wives; supposedly he married one woman in every city he conquered. No one knows for sure how many he married. Officially, there were Roxanne and Darius’s daughter. However, marriages at the time were not like our marriages. They weren’t written contracts. They were often, as he’d said, politics. His heirs would be the boys or girls he cared to claim. Alexander had been born to his father’s concubine. I wasn’t worried about suddenly appearing in the history books. The written word was rare. I was in an aural society, where speaking was more important than writing; where people chose what they said with care. Pledges were made orally, and they held as much power as a document would centuries later. When someone asked a question, he listened carefully to the answer because survival could depend on what was said. Stories were told, but lies were few. People in this time picked up every nuance in speech. When they talked, it was to communicate. They would gather and discuss religion and philosophy, and the latest way to make purple dye. Everything interested them. They had come to a point in history where the world was changing and people were traveling more than ever. New ideas were coming from the four corners of the known world, and all ideas were considered. Everyone embraced everyone else’s notions. They were new, different, and amusing. It was a time of expansion and people were ready. Alexander’s army had been carefully chosen. As a soldier, he wanted fighting men. However, as a keen politician, he wanted men who would impress people in other lands. He wanted his men to be educated, so he would often talk to them about the things he’d learned from Aristotle. And the men listened. Most were young men eager for travel and change, open-minded and curious. They remembered his words. Afterward, when they were left behind in a garrison town, either because they had been wounded or had been married to a local girl, they continued Alexander’s mission. They repeated everything he’d told him, and people listened and told their families and friends. So, much faster than you would expect, Greek civilization swept across Asia. With Alexander’s army were doctors, biologists, priests, merchants, historians, minstrels, actors, whores, soldiers’ wives, children, and diplomats. And then there was myself. I was an only child of elderly parents; a freak accident that my mother, well into menopause, could never explain. She found she was pregnant when it was too late to do anything about it, and she resigned herself to being a mother at an age when most women are grandmothers. To say I was an embarrassment would be an understatement. My mother hardly dared tell her closest friends. I believe most people thought I was the cook’s daughter. When I was old enough to be toilet-trained, I was shipped off to boarding school. I came home for vacations and wandered around our huge, empty house alone. I had no friends in the neighborhood, and my schoolmates were never allowed to visit. Summers were the worst. Our house was the biggest one in the village, my parents were the richest people, and the other children hated me. My mother had our chauffeur drive me to the country club for my lessons every day. I had swimming lessons, golf lessons, riding lessons, and tennis lessons. At home, there were piano lessons, and I was tutored in French and Italian. Everywhere I went I was alone, except for my various tutors and our ancient chauffeur, whose only attempt at conversation was to ask me every day if “Mademoiselle was well”. My father died of old age when I was ten. I dressed in black and paraded down the street behind the hearse to the cemetery. It was the first time I’d ever walked through the village. I walked behind the hearse, alone. My elderly mother rode in the car. I must have looked ridiculous, but the people lined up along the streets nodded sympathetically to me. I remember seeing them and wondered where the parade was. When I realized I was the parade, I was glad of the black veil hiding my face. At the cemetery, my mother and I stood in front of a huge crowd of mourners. I didn’t cry. I had already learned to smother my feelings. The mourners walked back to the house where a huge banquet was set up on the lawn. It was mid-July, and the whole atmosphere was like a garden party. Except for the black clothes, you would have thought it was a fiesta. After my father’s death, my mother took a bit more interest in me. It was the sort of interest one takes in a rough gemstone. She decided to polish me and put me in the best setting she could find. That’s how, when I was only sixteen years old, I found myself married to a French Baron. Married. I had been standing still, thinking about all this, while Alexander watched me. He had stopped poking holes in the map and his eyes had their jaguar look.